Fraternal Delegates from several Christian denominations addressed the Synod of Bishops on the New Evangelization yesterday afternoon. Among the delegates who spoke were His Eminence Hilarion Alfeyev, Metropolitan of Volokolamsk, Russia, Rev. Dr. Timothy George who represented the Baptist World Alliance, and Sarah F. Davis, representing the World Methodist Council. Speaking on behalf of the Russian Orthodox Church, Bishop Hilarion reflected on the anniversary and significance of the Second Vatican Council, stating that even 50 years ago, the fathers of the Council were aware of the importance of a closer cooperation between Christians of different traditions. The Russian Orthodox prelate stressed the necessity of both the Catholic and Orthodox churches in combining their efforts to face the challenges of modern society. Bishop Hilarion cited the cooperation of both Churches "within the Orthodox-Catholic forum, in different international organizations and at other places of dialogue with the secular world." 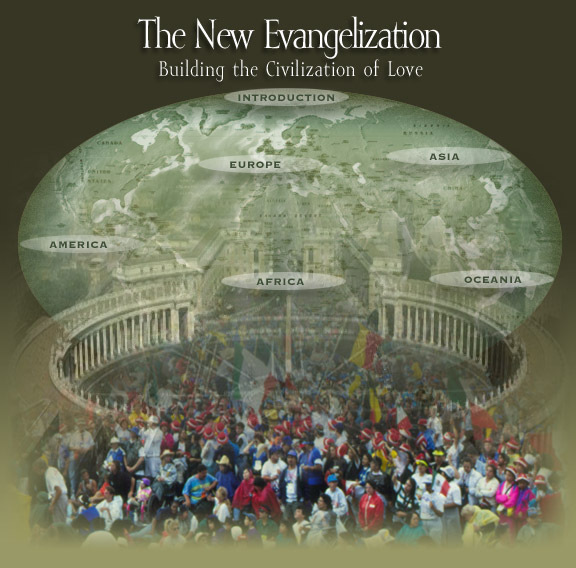 Dr. George, who also serves as Dean of the Beeson Divinity School of Samford University in Birmingham, Alabama, underlined the biblical imperative for Christian unity, stating that ecumenism is "always in the service of evangelization." Concluding his third point, Dr. George stated that religious freedom is not rooted in political or social paradigms, but originates from the character of God himself. "The tradition of faith, he said, "resounds as an authentic response to our vast experiences and questions surrounding the Universe. We live, therefore, in an age of great opportunity to announce our faith through dialogue with both the natural and historical sciences." Expressing her gratitude in representing the World Methodist Council, Sarah F. Davis, who also serves as Vice President of the council, referred to the gathering as "the most timely and critical Synod in the life of Christendom." Davis concluded her address thanking the Holy Father's call for a New Evangelization and prayed for "God's continued favor on the yet to come outputs of this Synod."